2013 was a pretty good year. I learned quite a lot. I'm looking forward to 2014. Here are five of the things I've learned. # 1: I can't go to a shoe store and buy shoes for my son. Long ago, I gave up on finding shoes for my son in a shoe store. About a month ago, I ordered two pairs of shoes for him online. And ended up sending both back. Today I made him sit down at my computer and decide which shoe on the list he wanted. You might be wondering why I didn't just take him to a shoe store and let him try on shoes. Having him try on shoes is pert near impossible. He wears a size 15, narrow. Ever come across a selection of size 15s in your local shoe store? I haven't. #2: If you're tall, people assume you're big. Yeah, I'm talking about my son again. He's tall, but not big. He is, in fact, quite slim. If I find jeans that fit his height, they're too big in the waist. Most of his jeans are 32X38. That doesn't sound too big. Except that the jeans sit more on his hips than his waist. He probably needs more of a 30X40, but I haven't found that size yet. You're probably wondering how tall he is. He's 5 foot 6 inches. I'm kidding, of course. He's 6 foot 10 inches. I've learned to order online. #3: Write first. Email later. The first thing I do after turning on my computer is check my email. Or, in my case, my emails. I have multiple accounts. Between deleting spam and reading the legitimate emails, I use up an hour or more. So I've decided to stop that. I’m going to turn on my computer and go immediately to my work in progress and spend at least an hour working on that, before opening gmail. Ever had someone tell you how to do something and it seems to be easy? Then two months later, you go to do that "something" on your own and you can't remember all the steps? Note to self: Take notes! Seriously. Take notes. You get a crappy review of your book. Let it go. Your friends got invited to a party and you didn't. Let it go. You did get invited to the party, but you forgot to put it on your calendar. Let it go. You're driving to a meeting with the radio blasting while you sing along. And you get totally lost. That's what the talking map on the iPhone is for. Let it go. Over the winter months, you gain ten pounds. It'll soon be summer and you can get back to walking. Let it go. What have you learned? What things do you want to let go? Leave a comment and let it go. 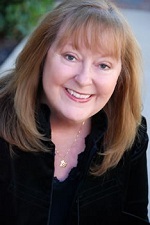 Helen Ginger is an author, blogger, Coordinator of Story Circle Network's Editorial Services and Chair of the Texas Book Festival Author Escorts. She teaches public speaking as well as writing and marketing workshops. You can follow Helen on Twitter or connect with her on Facebook and LinkedIn. Helen is the author of 3 books in TSTC Publishing’s TechCareers series, Angel Sometimes, and two of her short stories can be found in the anthology, The Corner Cafe. Her next book, Dismembering the Past, is due out in 2014. I'm starting to have some of the same problems with my son's clothes and shoes. He's 6'0" right now, at least, he was three months ago and just went through another growth spurt, so won't know for sure till his check up next month. His shoe size right now is 12 1/2. It's hard to find that in the stores around me. I so identify with you. Paul has quit growing, thankfully. For Paul, I shop online for both pants and shoes. Although, I did go to a shoe store recently. Just to get his feet measured, in case he had grown more! I learned there is someone out there with feet bigger than mine ... makes my 13's seem positively petit. Anyway, Helen, tell your son I can relate ... I've had a lifetime of shoe salesmen asking me, "Are you looking for shoes ... or skis?" Ha, ha, ha. Paul doesn't even go to shoe stores to look for shoes. We order them online since no store that I know of stocks his size. It has been a very challenging year, so here goes: Spend time doing what you love. Don't waste time on the past or regrets; your life clock spins fast. Don't put things off until "later." You may not reach "later." If you make excuses or offer justifications, you really don't want to do the thing. Just admit you don't want to do it and move on. Hug the people you love every chance you get. Express appreciation. It sends out positive karma. Thanks for all the wit, wisdom, and words y'all share. It truly makes my day. Very good advice Diana. I'm going to type that up and put it on my bulletin board! That's my goal for 2014, Linda. Write first. Check email, etc. later. And I want to let go of this winter crud. I'm so tired of being sickly and whiny. Amen, Patricia. We're starting to warm up and I'm looking forward to my 4 mile morning walk. Haven't done that in weeks! Write first, do anything else later! I can usually manage a good solid two hours of writing if I do it first. If not, it's sometimes impossible to get back to it. Nothing tastes worse than going to bed at night knowing you didn't write one word of the current novel. WIP is #1 on the to-do list this year. True, Liza. Write first and foremost. I'm trying to unbusy myself, so I can get on with the task of writing some words every day. I agree reading and answering emails is a time monster! It certainly is for me, Maria!